With planetary influences calming down from the aggitatedlast few days, Mercury Station has stamped its arrival with some loud earthquakes. 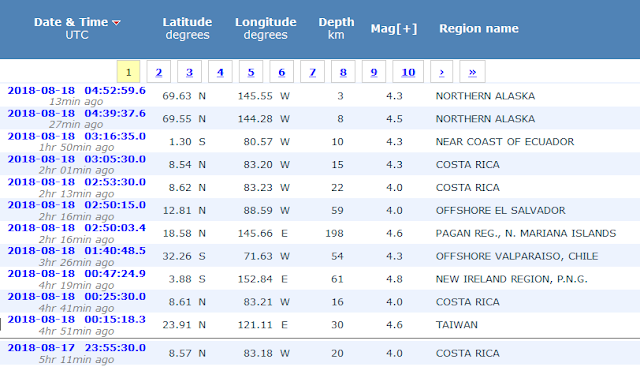 This morning the dust is settling and we see a series of small earthquakes all less than 5R. All the events in places where we have seen significant activity of late.